Handcrafted Copper Bathtub with natural patina! 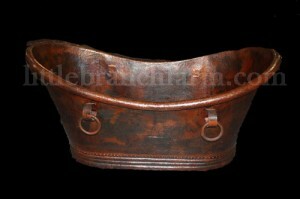 Our patinaed copper bathtub is hammered from 12 gauge copper with a natural patina. Please allow 4 weeks for shipping, but most ship within a few days.